Carol Limpy has pursued bull riding, race car driving and tackle football. Now the grandmother of two is attempting to become a boxing champion. 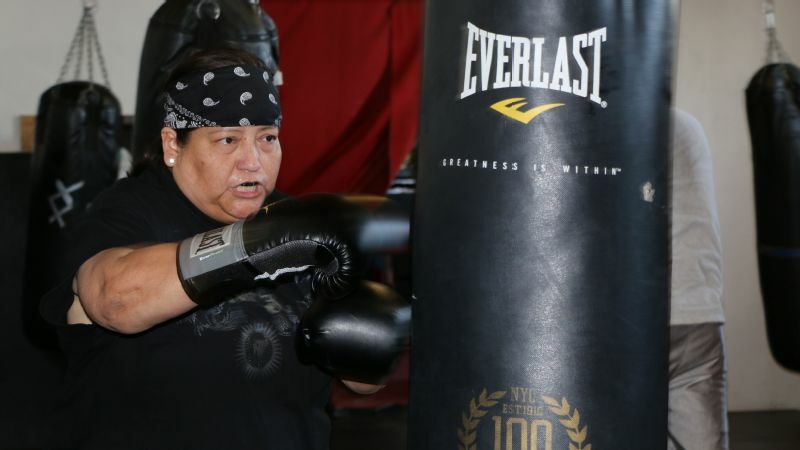 On a late August afternoon in the Crown Heights district of Oklahoma City, Carol "The Cheyenne Storm" Limpy, 49, rushed into the Western Avenue Boxing Gym to sneak in some punching bag time. It was just shy of 5 o'clock, and the grandmother of two was coming from nearby Concho, where she works as a higher education counselor for the Cheyenne & Arapaho tribes. Despite the busy start to the school year, she didn't have a day to lose. After all, her Oct. 1 amateur heavyweight fight at Firelake Casino in Shawnee, Oklahoma, was almost a month away. As Limpy noted, her opponent, Beth "Hardtimes" Farmer, has one distinct advantage: youth. At 33, she's a full 16 years younger than Limpy. But Limpy is no stranger to intensity. 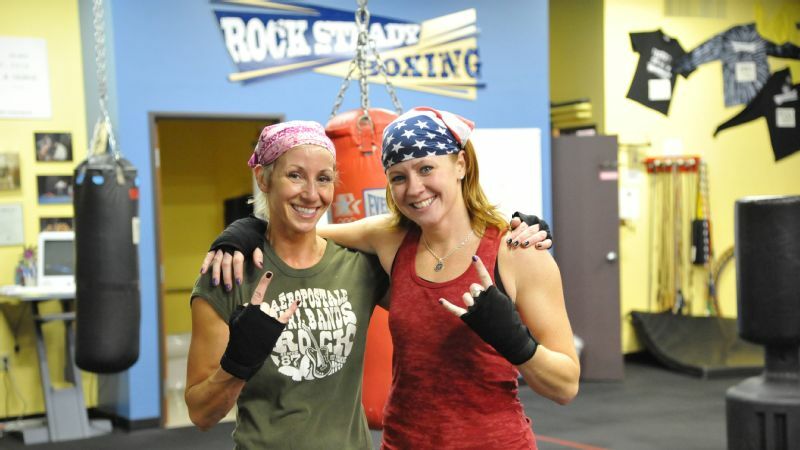 An Army vet who has dabbled in bull riding as part of the Women's Professional Rodeo Association, driven in dirt track Factory Stock car races, and played in a women's full-contact football league, she took up boxing two years ago with the goal of fighting at the local Toughman Contest, an intense amateur boxing competition that occurs around the country. Last year at this tournament, where athletes frequently die, she lost to eventual champ Valerie Koassachoney. This year, she's seeking redemption for herself in this upcoming bout against a fresh opponent at a new competition. While she's always looked for ways to test her limits physically, this particular boxing journey, she hopes, will have more of an impact on her community. She wants to use her involvement in the sport as a vehicle to connect with kids to discuss their academic and personal issues. And given that she's divorced from her husband and now living with her female partner, Anita Wheeler, Limpy understands the value of helping those in her community who are afraid to come out, in light of the conservative values many in the tribe and state espouse. 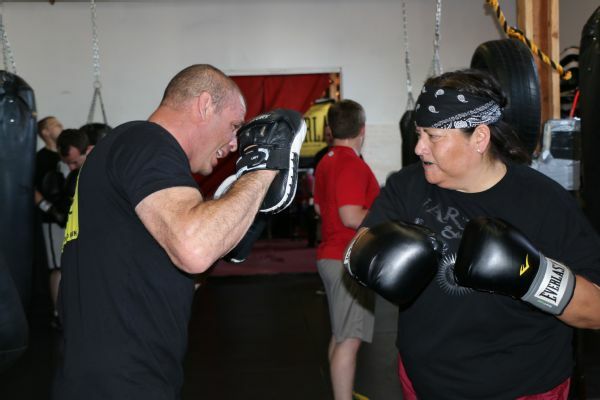 Limpy has seen the impact the gym can have on a community and has a vision to institute a traveling boxing clinic with equipment for interested Native American school children to train. Native Americans have the lowest high school graduation rate of any student group. Given that Limpy provides college counseling to high school juniors and seniors, she's always looking to level the playing field and communicate with students in a practical and non-stressful manner. "Boxing is a way to hopefully get the kids interested in something else," says Limpy, who hopes to finish her master's degree in Native American leadership at Southeastern Oklahoma State University in the next couple months. "Once I make that connection with them and they get interested and they like it, hopefully it's a segue into, 'Well, how you doing at school?'" Inside the gym, Wheeler helped Limpy tie her hands and wrists in yellow boxing tape before putting on her Everlast gloves. Dressed in a War Child brand shirt (emblazoned with the words "More Savage Than Average"), black boxing trunks and Nike flip-flops (to show off her pink pedicure), Limpy circled a room filled with a dozen punching bags. She set and struck with force. At 5-foot-7 and 270 pounds, she grounded herself and put her power into each hook. Occasionally, she threw a left-right combination hard down the center. Pretty soon, her forehead beaded with sweat. Limpy's paternal grandfather, a tenacious man who was on a U.S. ship off the coast of Japan during the bombing of Hiroshima, was a Northern Cheyenne, a pedigree to which her relatives trace her daring nature. "My family says, 'That's where you get the crazy from,'" Limpy said. "Crazy? I call it being adventurous." Limpy was born in 1966 in Fonda, Oklahoma, which she calls "an itty-bitty community out by Seiling." When she was 11 months old, her 23-year-old father was killed in a car wreck along with her 5-year-old brother and 3-year-old sister. Her mother's sister married a Cherokee man, so Limpy's mother packed up her baby girl and moved to Northeastern Oklahoma. Limpy grew up thinking she was Cherokee. Of course, she had an inkling maybe that wasn't the case. "I'm too tall to be Cherokee," Limpy said with a smile before laying into a punching bag. At Chouteau High School, where she was long the only Native American, Limpy began her unconventional athletic career by playing baseball on the boys' team during her sophomore, junior and senior years. She played second base, left field and even pitched a game. 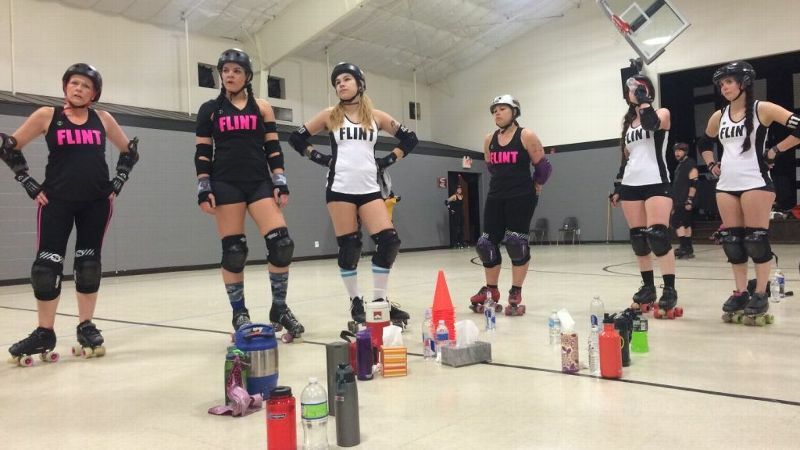 "I don't know if I wanted to be different, but I just wanted more of a challenge," she said. "My mom was like, 'You're gonna get hurt.' I said, 'Well you can get hurt in anything you do.'" Limpy joined the Army Reserves in 1985 when she was 18, met her future husband while starting her undergrad education in psychology at Northeastern State University in Tahlequah, Oklahoma, and had her daughter in 1991. Long a full-time student and full-time employee, she was honorably discharged in 1994 and finished school in 1997. Eventually, Limpy said, she started listening to her heart and divorced her husband after recognizing her sexuality. "Once I left and was truthful with myself about who I am, he was very supportive," Limpy said. Next began Limpy's foray into bull riding in 1998. A man she considers her "step-cousin" from her Cherokee community started raising bulls in an arena in Little Kansas, Oklahoma, and needed help bucking them out of shoots to appraise their quality. One Sunday evening, there was one bull left in the shoot, and the guys at the little arena taunted her. "They were like, 'Come on, Carol -- we dare you,'" Limpy said. It was a small, but aggressive bull. 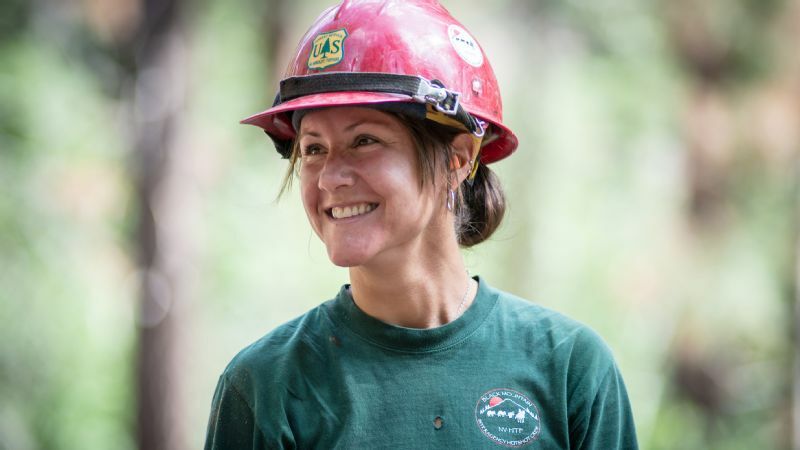 "Man, my heart -- I was scared," she said. "I got on it. It was like, flash; the next thing I knew, I was 10 feet over." She'd been tossed into the air and landed with a thud. "They tell you, 'Whatever you do, get up -- if you're half dead, get up,'" Limpy said. She was hooked. Carol Limpy (left) and her trainer, Travis Hoffman. She aspired to make the national finals for women's bull riding -- an accomplishment that required her to compete in three to four rodeos. So when the all-women's rodeo came to town in Grove, Oklahoma, she jumped at the opportunity. But the bull riding vest she wore was too large, so when she got bucked off, her elbow got caught inside and lodged against her ribs on the landing. In typical Limpy fashion, she got up, saying, "I think I'm all right," she said. Then she started throwing up. She had broken three ribs. But she stayed to pull the rope for another rider before heading to the hospital. A couple of months later, she made it to the stockyards in Fort Worth, Texas, for another rodeo -- but broke another rib. "That was the end to my year of bull riding," she said. And the start of her race car-driving career. Initially she was interested in fixing cars, and when she went to a couple races at 412 Speedway (now Flint Creek Speedway), she noticed there were a few female drivers. The track owner let her test out her skill behind the wheel of a 1977 Monte Carlo with a four-barrel carburetor and 350 horses under the hood. "Your adrenaline gets the best of you," she said. "I was hitting it to the floor." She raced at 412 and competed at Thunder Valley Speedway in Fayetteville, Arkansas. She even did a hot lap at Salina Highbanks Speedway in Pryor, Oklahoma. But in a 2001 race at 412, she was run into the wall and suffered a concussion. "I couldn't see for three weeks," she said. "Everything was real blurry." That ended her racing career, and she tried to lay low for a couple of years. That is, until 2004 when she saw an announcement that the Tulsa Tornadoes, a women's full-contact football team, were having tryouts. She made the cut and played nose guard alongside Mandy Calmus, the sister of Rocky Calmus, former University of Oklahoma superstar and an NFL linebacker. In 2010, Limpy's daughter had a daughter of her own, followed by a son in 2012. Limpy entered her newest full-contact endeavor: being a grandmother to two. "I think that's a sport right there," Limpy said. Wheeler, too, is a grandma of one. "We're both always ..."
"... chasing kids," Wheeler said, finishing the sentence. Of course, Wheeler is protective of Limpy and wants her to settle down, just be a grandma, stop with her athletic antics. After all, Limpy's only other fight -- the one at the Toughman contest last year -- resulted in a brutal loss. But when Limpy found out about an upcoming match-up in mid-August, she complimented and was extra sweet to her partner before announcing her plans. "She tried to butter me up before she sprung it on me," Wheeler said. And Farmer, Limpy's opponent, who is a financial advisor for retail businesses, is not ready to give this fight away. She got into boxing four years ago at Western Avenue Boxing Gym, after her husband left and she received a skin cancer diagnosis. "I was kind of going out of my mind and just needed something to focus my energy on," Farmer said. 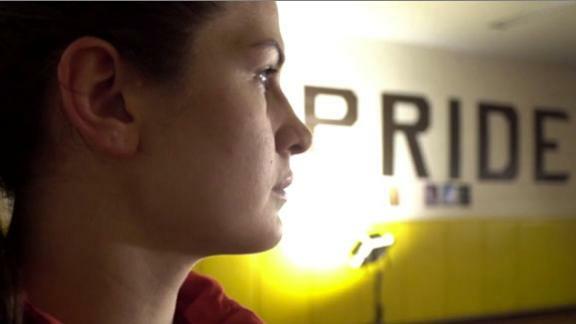 She got her boxing moniker, "Hardtimes," because of when she took to the sport as refuge. She's even sponsored by Hardtimes Beef Jerky, a client of hers. On fight night, her trunks will feature the company logo, an old hobo with a bindle. 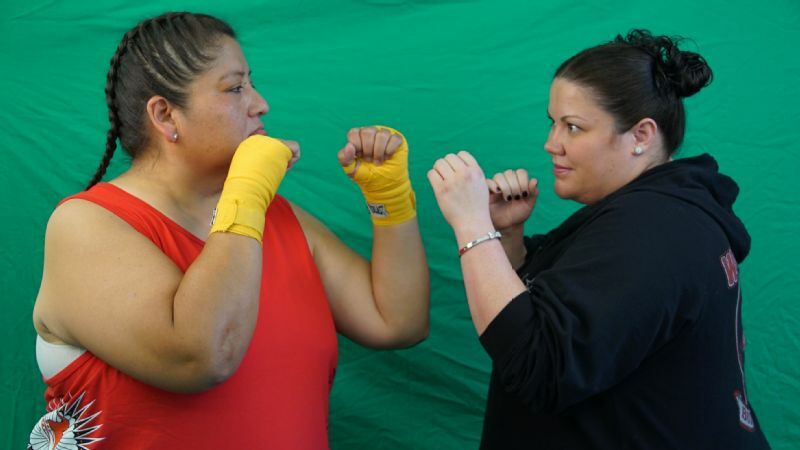 Carol Limpy (left) will face Beth Farmer (left) at Firelake Casino in Shawnee, Oklahoma, on Oct. 1. Farmer has one distinct advantage over Limpy: youth. It was difficult to find an opponent for her given that women's boxing in Oklahoma, let alone in the heavyweight category, is not super popular. So when the trainers at Western Avenue Boxing Gym paired her to fight Limpy, she was ecstatic. Farmer, who is almost 5-foot-4 and 275 pounds, specializes in power punches. But when she met Limpy at their square-off photos, Farmer couldn't bring herself to match the aggressive expression that her opponent flashed. "The whole mean mugging that people do -- that's not me," Farmer said. "I smiled at her the whole time." It's an easy life to live if you go into everything and think you're going to win. You've got to learn how to deal with loss healthily... That in itself shows her great strength. That doesn't mean she'll be delightful in the ring. Sure, she had her doubts when they proposed Limpy, a grandma, as her opponent. "I was like, 'I don't know if I can hit someone my mother's age,'" she said. "But when I met her at the photo-shoot, I was like, 'This is one tough chick.' I mean, I respect her being a grandma and all, but once we get in the ring, she's not a grandma anymore." Limpy might have some advantages given her unconventional boxing style. "With heavyweight fighters, they tend to throw wider punches, more overhands and haymakers, but Carol, she works her jab well with her right hand," one of her trainers, Rebecca Hoffman, said. "And she knows how to go straight down the pike inside when people are throwing wide punches. You don't really see that often in female heavyweights." She could pack a bit more into her swing. "I'd like to see her pivoting her punches more, getting more power out of her punches," Hoffman added. "If Carol's really aggressive and takes Beth down in the first couple rounds, it's gonna be her," said Travis Hoffman, Rebecca's husband and Limpy's other trainer. "But if it goes to the third round, then I think Beth has a really good chance. Carol's gonna be screwed when it goes past the second round." Travis, of course, is just impressed Limpy has taken on boxing as a grandma. "Anytime someone takes on something like this, especially at age 50, it's an amazing thing, especially if there's fear involved," Travis said. "You've got to go in there willing to lose. It's an easy life to live if you go into everything and think you're going to win. You've got to learn how to deal with loss healthily. ... That in itself shows her great strength. That should be passed on in her platform of work. Dealing with disappointment, that's what breeds chances in life." As Limpy de-gloved and packed up for the day at the gym, Wheeler expressed both her support and trepidation. "I'm like, 'Please don't break any more things," Wheeler said. "I hope that by the time you're 50, you're really done." But Limpy will be 50 in December. So she's negotiated with Wheeler to be "done" at 51, because she wants to go skydiving with her daughter. And maybe fight another Toughman competition and just one or two professional boxing bouts.